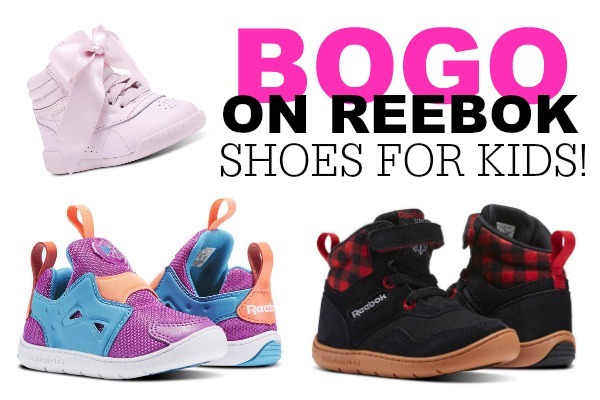 Now through Saturday January 6th Reebok is offering Buy One Pair of Kids Shoes and Get a second pair FREE during the BOGO Kids Footwear sale! This means HUGE savings and they have tons of styles that will be included in this sale; the Club C Pre-School, the Classic Leather – Grade School, the Royal Classic Jogger and much more. These fun sneakers provide the comfort and support little ones need to toddle around on adventures. They also free shipping and returns on orders over $49! « *RARE* Weight Watchers Magazine for $4.00 per Year!